The adorable Cavachon is the amazing mix between the Cavalier King Charles Spaniel and Bichon Frise. 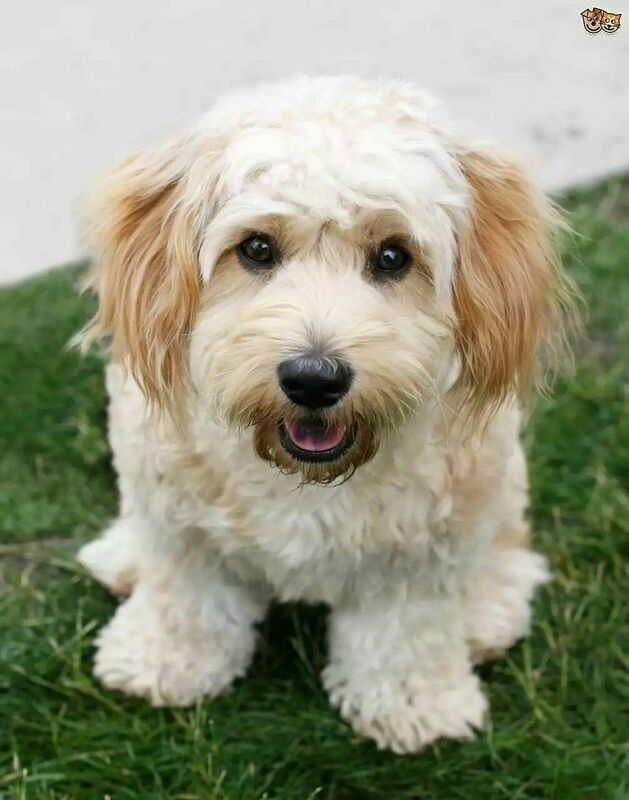 Both of these breeds are highly popular and appreciated companion dogs and contribute with a set of great personality traits to the Cavachon. The result is a small dog with a playful and friendly personality. While it is true that the personality of a Cavachon puppy can differ, considering that it has parents that come from two different breeds, you will rarely come across a Cavachon with personality issues. If you opt to look for Cavachon small pups by contacting responsible dog breeders, you will get a balanced and healthy puppy to enjoy. However, when you are looking to welcome a dog in your family and consider getting a particular dog breed, it is worth knowing as much as possible about that dog breed. This will help you see whether the dog suits your lifestyle and if it meets your requirements, in terms of care, trainability, tolerance of other pets, and so on. So, concerning the Cavachon, here are 4 of the most important personality traits of this breed. Many Cavachons end up being the shadows of their owners. These dogs can form very strong bonds with their favorite people, so you will never feel alone when having such a dog around. They will love you no matter what and will be there for you every moment of the day or night. But, their endless love and admiration for their owners can also transform these pooches into rather clingy companions. So, a Cavachon will hate being left home alone for too long. This is a dog breed prone to developing separation anxiety if it gets to spend numerous hours alone, without its owner. Having this in mind, you need to seriously consider if your daily schedule has sufficient room for a Cavachon. This dog can suffer a lot if you leave in the morning and turn home in the evening. Considering the two dog breeds that led to the creation of the Cavachon, we can say that the result is a playful and affectionate pooch. Because we are talking about a hybrid, the personality traits of each puppy can vary, but generally speaking, these dogs are very sweet and a true delight for their owners. However, it is strongly recommended to spend time socializing your Cavachon pup as early as it is possible. This process will help your dog develop a healthy level of self-confidence and will contribute to the appearance of a friendly personality. So, allow your Cavachon puppy to meet people, whether they are friends or strangers, take it places, travel by car, allow it to see and interact with all kinds of creatures and other dogs. Every dog, regardless of its breed, should receive a minimum amount of training. Your dog should know to come when you call it, to sit, wait, and walk on a leash. The best part about owning a Cavachon is that these dogs are quite bright. They are capable of learning fast everything you teach them, as long as you are gentle, patient, and make things fun and interesting. Spending half an hour daily on training your Cavachon will allow you to obtain great results. Also, it is worth mentioning that training should start early so that you can enjoy an obedient and well-behaved adult Cavachon. If we are to describe the Cavachon in one single word, we would definitely choose “happy” to describe this lovable dog. They are positive dogs with moderate activity requirements, which makes them suitable for children, adults, and seniors alike. They go great together with other pets as well, as long as they are socialized from an early age. Also, they can be amazing friends for children, as they will maintain their playful character even as they age. Not to mention that they have hypoallergenic coats as well, which makes them great choices for those prone to developing allergies. All in all, the Cavachon is one of the best dogs to consider if you are looking for a small dog, with a big heart, and friendly character. If you know that you have sufficient time throughout the day to spend with your dog and won’t leave it home alone for extended periods, the Cavachon can become your most loyal and affectionate companion. What type of Dogs Breeds are Good With Parrots?